Nike Run Through The Wall Optical Illusion is a pretty neat advertisement. The add spans two buildings. The first building has a cracked image of the building in the shape of the running man. 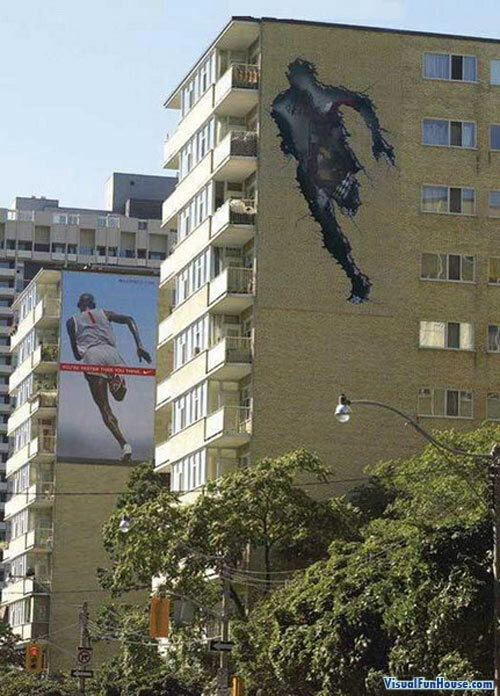 The second building has the actual Ad of the runner with the Nike logo. Also be sure to check out some of the other Extreme Billboards. Pingback: 10 Clever Ads on Buildings | . : Entertainment blog on oddities :. lol thats really great ad..